← Porkin’ It Up: A New Year’s Tradition! I am so blessed by the precious friendship that has developed between my Mom and me. Saturday mornings have become a wonderful time together as we share Starbucks, reminisce about Dad and the past, and look forward to our future adventures together. My Saturday mornings with her have become such a treasure as she shares so many precious memories and insights with me! Recently she handed me a beautiful devotional that a friend of our family, Chris Schonsheck, had given her and it so encouraged me and blessed my heart! I want to share it with you and hope that it does the same! Thank you, Momma. Thank you, Chris! Often I fall into the trap of comparing myself to other people. When I look at the impact they seem to have on the world, I feel as if I don’t measure up. 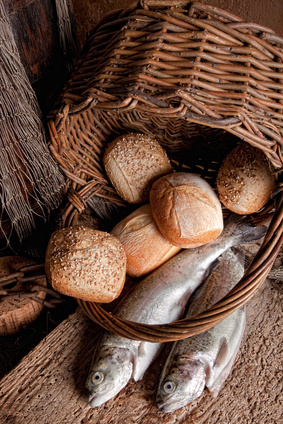 One day, when I was feeling inferior, God gave me a new perspective on the familiar loaves-and-fishes story. Instead of focusing on the miracle itself or on the boy who offered up his lunch, I thought about the woman who might have made the lunch. 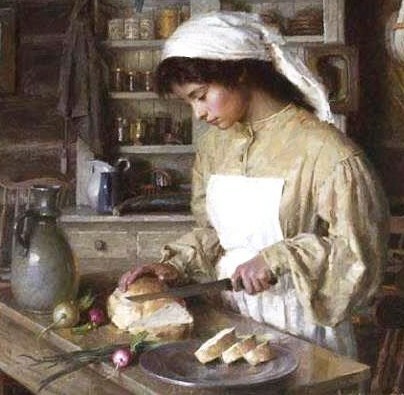 I imagined her kneading the dough with work-worn hands, carefully wrapping the fresh loaves and fish in a cloth and handing the bundle to the boy with a kiss on his cheek. To her, these must have seemed such small, ordinary tasks. How could she have anticipated that the meal she had packed for her son that day would have such eternal significance? That reminded me of the many ways that God takes our small efforts and uses them to feed people physically, emotionally, and spiritually. So when I feel that I should be doing bigger things with my life, I remind myself of the loaves and fishes. 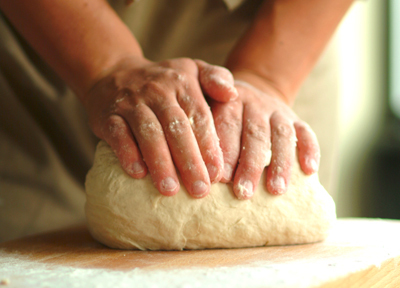 My job is to do the tasks in front of me.. God’s job – God’s delight – is to use them to feed the world. Dear Lord, help us to trust you to use us for your purposes. Amen.